At least half the tomatoes I grew this year were not red and few were ‘normal’. But there were a few and here are three of the best. Plum or paste tomatoes are the best for cooking because they have relatively dry, mealy flesh and although they are not great for eating raw they make super sauce. I always grow at least one and this year it was the remarkable ‘Britain’s Breakfast’. The stocky plants produce huge trusses with masses of flowers – at least 100 per truss – it is sometimes referred to as a multiflora variety. Because of the number of flowers per truss you can’t expect every flower to set a fruit but even so you will get 30-40 fruits without any special effort and can expect up to 50. The fruits are lemon-shaped with a pointed end. This year I restricted most of the plants to two trusses and the two plants that I allowed to develop three did not really carry many more fruits so I will continue to restrict plants to two trusses. The first truss is produced so low down that the huge trusses allowed the fruits to touch the soil and I think that if I grow this next year, and I probably will, I will remove the first truss and allow only the second and third to develop so the fruits are less prone to slug damage and to keep them cleaner. 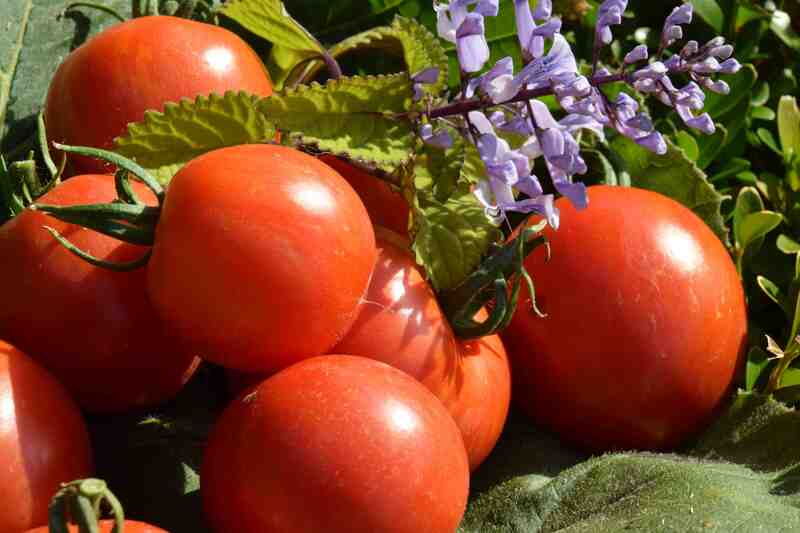 I usually grow this old variety, often described as an ‘English Heirloom’, because it is easy to grow, has good crops and ripens fairly early and although the fruits are subtly striped when ripening they are almost pure red when fully ripe. 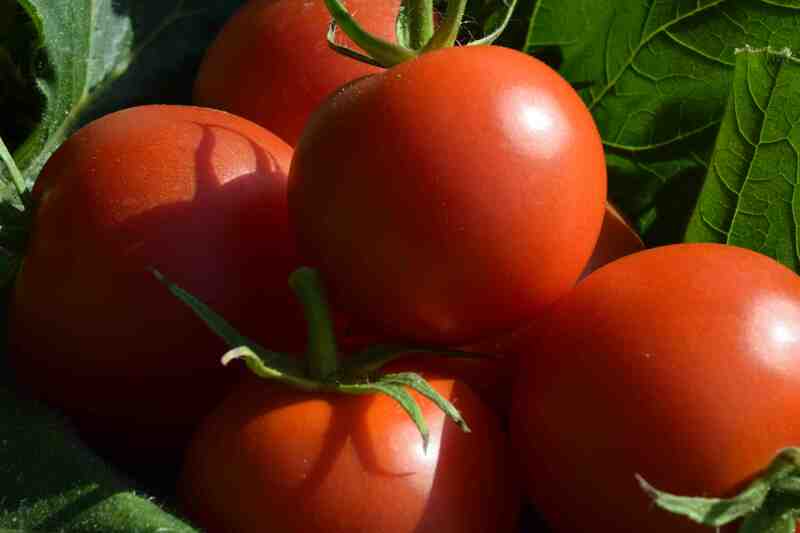 It is a good home-grown tomato because it is relatively soft when ripe so does no travel well. I think it has a good flavour but some are not so sure. It has branching trusses with lots of fruit of different sizes and is great for salad use. Being an old, commonly produced and not expensive variety there may be some variation in the plants now because stocks are not maintained as they should be – a big problem with ‘Gardener’s Delight’ which is no longer the same plant we enjoyed 20 years ago. ‘Tigerella’ often gets confused with Mr Stripey’ – much more common in the USA – and is different. I have a bit of an adversity to growing 80-90gm, round red tomatoes. It is partly due to the fact that these are what you can buy most cheaply in the shops but also because life is too short not to grow something more interesting. But because I am not just growing toms for myself I do grow a few ‘normal’ tomatoes. This year I tried the F1 ‘Gourmet’. It is described as an all-rounder with good quality fruit of excellent flavour. 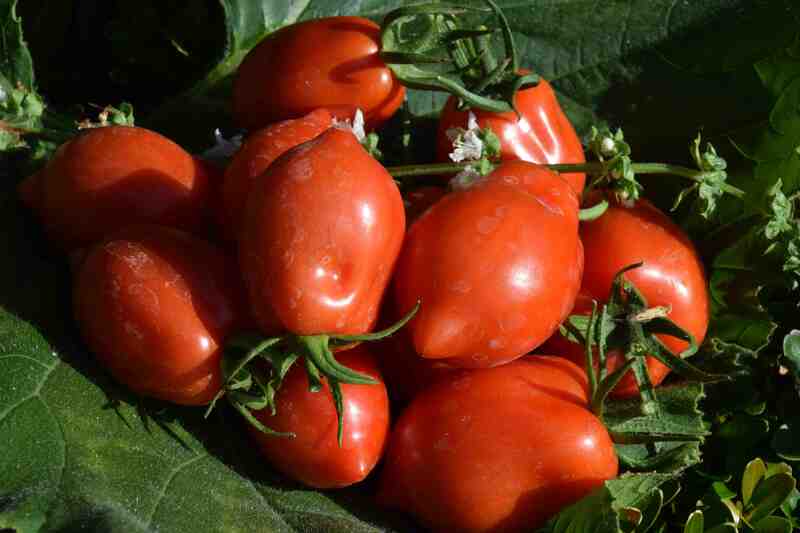 It grew well, had trusses of about 10 perfect, attractive fruits and was indeed a good choice if you like round red toms. I was a little worried about the fruits because they did seem firm but I have to admit that the taste was very good. It was just what I needed from a plant like this – nothing too scary for those that don’t like the idea of odd-coloured fruits but with a better than average taste.